American Indian Fashion Show in the Heart of Downtown - Downtown Phoenix Inc.
Editor’s Note: It’s not every day an American Indian fashion show comes to Downtown, so we invited Jaclyn Roessel, one of the founders of blog Presence 4.0, to put together a fashion sneak preview. The event takes place Wednesday, Feb 27, from 7-10 p.m. at Ra Industries. Admission is free. With everything from corsets to turquoise, our blog documents style, expression and on the street outfit finds. 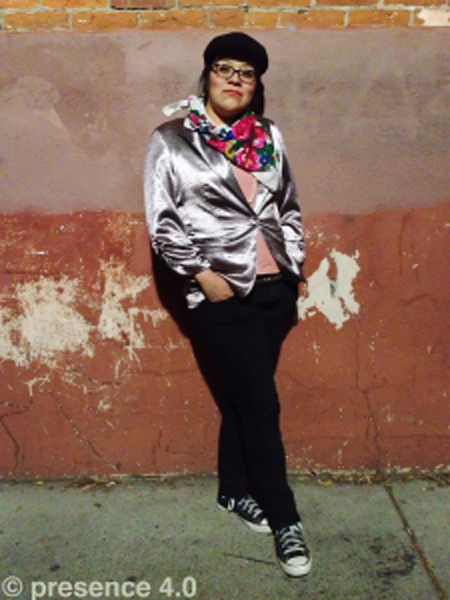 Founded by three Navajo women, Presence 4.0 is a style blog committed to profiling the creativity and ingenuity of American Indians by showcasing our expressive, everyday style on the streets (and dirt roads!). 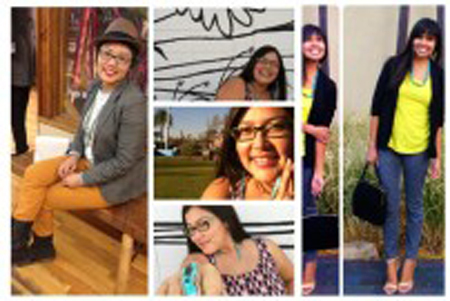 Partnering with fashion-blog powerhouse, Beyond Buckskin, led by American Indian fashion scholar Dr. Jessica Metcalfe, Presence 4.0 will celebrate its public launch with a fashion show. Hosted at RA Industries, the show will highlight hand-selected items by 19 different Native American designers from the Beyond Buckskin Boutique – a unique online store featuring authentic, cutting-edge American Indian-made high fashion, street wear and jewelry – and feature local students from Arizona State University’s American Indian sorority and fraternity as models. The show will feature a range of designs, including streetwear, couture, Native pop accessories and high end metal jewelry made by artists who hail from not only the Southwest, but also the Northwest Coast, Northern Plains, and Southeastern Native tribes. An exclusive selection of items from the Boutique will also be available for purchase during the event. Here Ashley flaunts a slick blazer paired with an iconic scarf, the design of which is still seen on many elder women today. 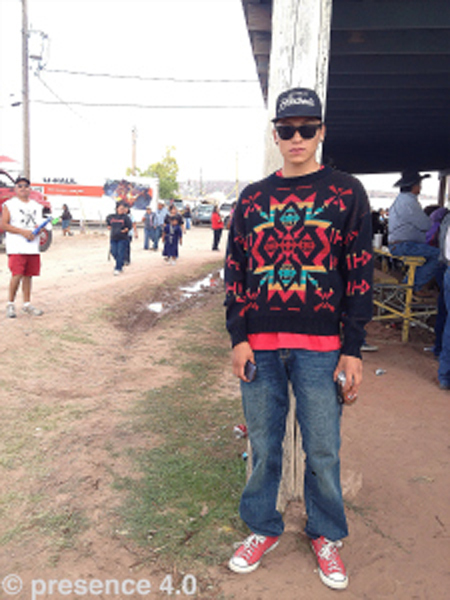 Presence 4.0 met up with Wacey, pictured here at the Navajo Nation Fair, who proves that hipster is always cool. He said credit for his outfit was owed to his Grandma's closet where he found the colorful sweater. At the University of Michigan Beyond Buckskin fashion show students model red and turquoise tunic dresses by Alano Edzerza (Tahltan), Yellow Mitchtewa scarf wrap by Virgil Ortiz (Cochiti Pueblo), beaded yellow earrings by Jovi Pacheco, blue earrings by Mea B'fly (Navajo/Hopi), turquoise beaded earrings by Turquoise Soul (Ojibwe). Photo: Jessica R. Metcalfe (Turtle Mountain Chippewa).